Department of Computer Applications runs three programme e.g. B.A. / B.Sc. in Computer Applications (BCA), Post Graduate Diploma in Computer Applications (PGDCA) and CIC. Professor Dr Padmavathy Srinivasan, Head, Department of Physics was the founder coordinator of this programme. 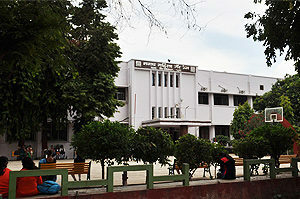 The department was started with only five computers donated by Smt Kamala Sinha, Member of Parliament. Presently there are more than 100 computers. The department runs on self financing basis. The department has 30 teachers – six University Professors, one senior scientist and 23 lecturers. Majority of the teachers possess adequate qualification and committed. The department has grown tremendously due to the dedication and continuous effort of the faculty members in a short span of 10 years. The students are doing extremely well in job market as software developer and analyst. The department is the only centre in Bihar which conducts UGC Refresher course and Orientation programme in IT and e- learning. The department has conducted nine UGC Refresher courses on Computers and e- Learning for university and college teachers for the Academic staff college, Patna University in post accreditation period. We have also conducted large number of Laboratory sessions on Computers for Refresher courses on other subjects, Orientation Programmes and short couses for teachers. A special training programme “Saskham’ on Cloud Computing under NMEICT sponsored by MHRD, Govt of India and supported by Microsoft Corporation was also organized by us. Thirty two perticipants from various colleges of Patna and Magadh University took part in the programme. Dr Dolly Sinha worked as the Nodal officer for the NMEICT. The department also designed a 45-days short course on Basic Computing to train students, teachers and staff members of the college. 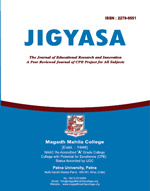 The study material for this course was also developed by the department. In an unique system of sharing knowledge, the students of the department help the students and teachers of other subjects in learning computers during the laboratory classes. As part extension activity, the students of the department organizes special training sessions for the children of class IV staff of the college.